As we head into the second year of Matter-Mind Studio, we’ve built a new website and moved into NEW INC, the New Museum’s incubator. To celebrate and mark the moment, we gathered with friends (old and new) and objects to share stories over food and drinks. Although our three thesis projects are very different from each other, they all share a strong focus on where emotion and objects overlap. For our studio warming party, we wanted to design the experience in a way that also reflects our Emotion-Centered Design approach. And our guests not only get to know us better, but also get to feel the nuances behind our process. 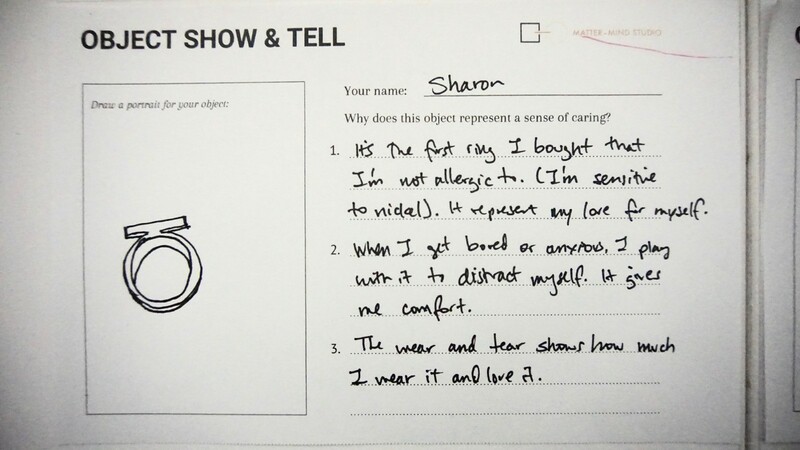 We asked guests to bring an object that represents the feeling of being cared for. 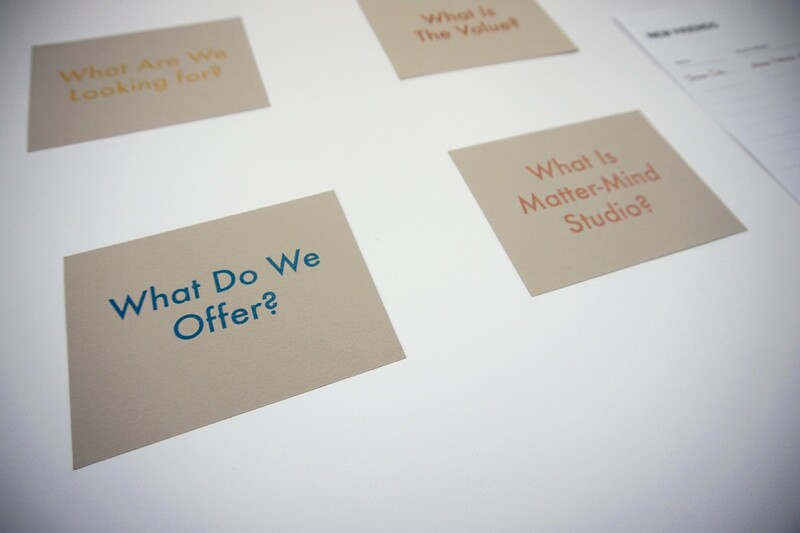 Why ‘care?’ If the idea of Matter-Mind Studio must be refined to one word, it would be ‘caring.’ We’re an Emotion-Centered consultancy that does research, strategy, and design to embed a sense of care in our clients’ products and services. 2. 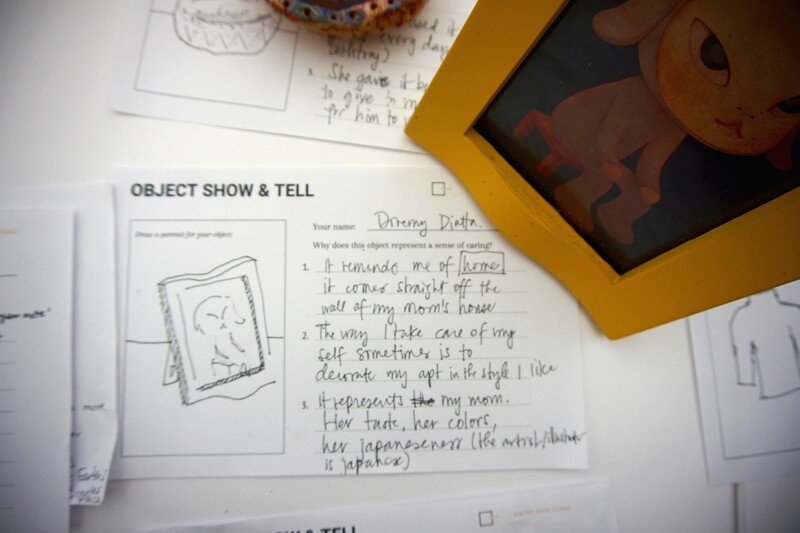 Together we held Object Interviews, a method we developed for understanding peoples’ emotion. As one of our unique methods, Object interviews help people articulate their emotions, which are often hard to put into words, and externalize their experiences from a third person’s view. Through this exercise, we gain unexpected insights about specific emotions, and form a rich understanding about people’s needs and desires. 3. 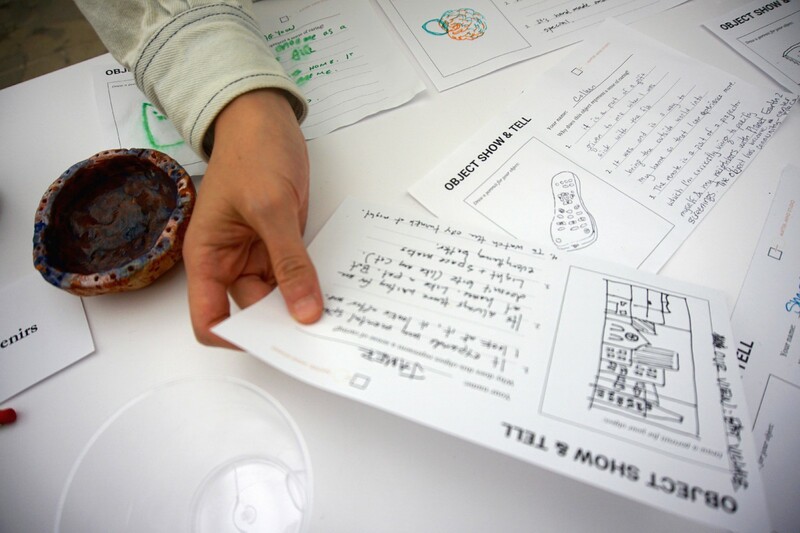 Through the exercise we talked about the passion, services, and impact of Matter-Mind Studio. We help organizations enhance their stakeholders’ satisfaction level through strategy and design. a) We do research to uncover stakeholders’ emotional needs and translate the emotive insights into impactful strategy. b) We design objects, services, and programs to fulfill people’s emotional needs and desires, and cultivate caring experiences. 4. 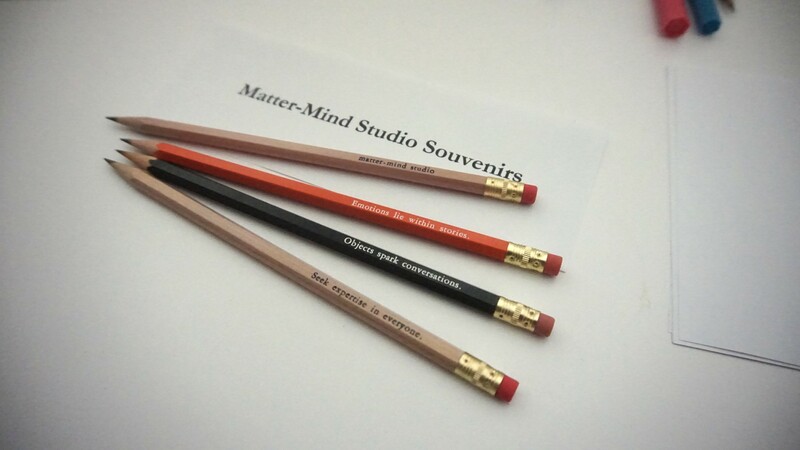 At the end of the party, each guest left with a special Matter-Mind Studio souvenir. 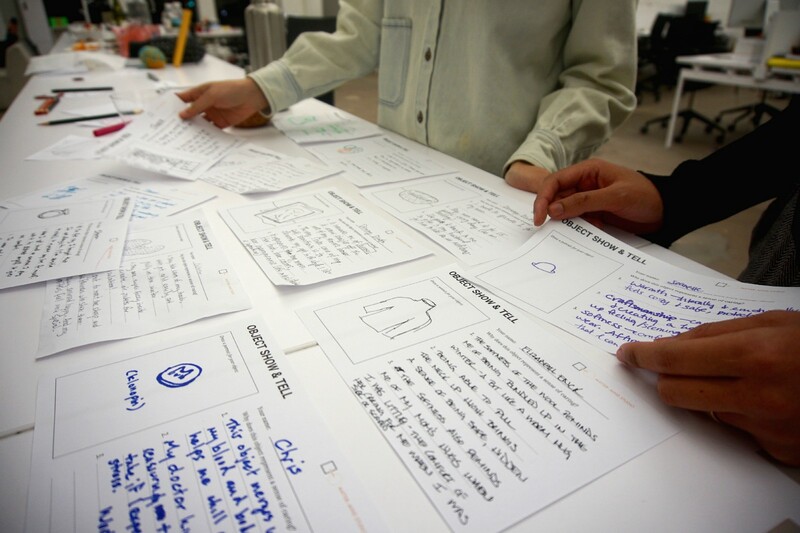 We shared the three principles of Emotion-Centered Design with our guests and asked them to pick one that resonants with them the most. a. Seek expertise in everyone. c. Emotions lie within stories. We are actively looking to connect with potential clients and collaborators. Please drop us a line if you would like to chat and learn more about us, or simply want a MMS souvenir. Cheers! a hybrid of researcher, strategist and designer and cofounder of Matter-Mind Studio, a consultancy that practices Emotion-Centered Design.